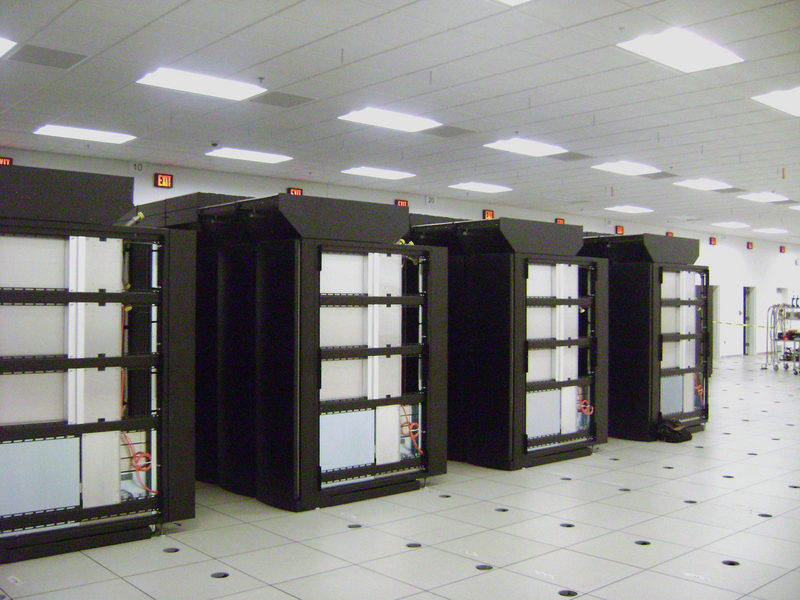 The University of Illinois is home to one of the most powerful supercomputers in the world: Blue Waters. This Cray supercomputer–built from hundreds of thousands of computer processors–can carry out quadrillions of calculations every second. By comparison, if you wanted to do 1 quadrillion calculations with just a calculator, it would take you 31 million years. Blue Waters can also work with quadrillions of bytes of data: 25 petabytes of online data storage and more than 300 petabytes of near-line storage. That means we could store more than 85 million DVDs worth of data. Scientists and engineers use Blue Waters as a research tool. Atmospheric scientists work to better understand and predict tornadoes and hurricanes. Astrophysicists simulate the formation of the first galaxies. Others study the molecular mechanisms of disease, the spread of epidemics, the impact of earthquakes, and more. 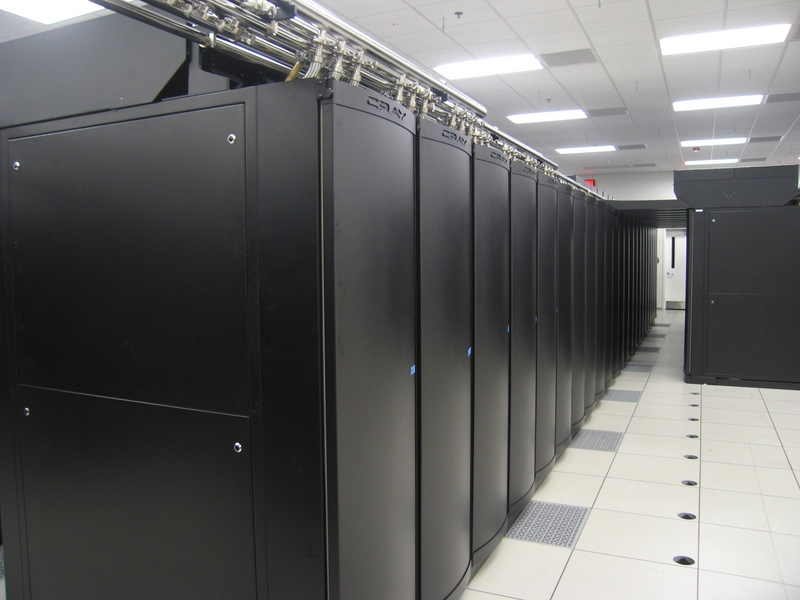 Because the Blue Waters project is supported by the National Science Foundation, the supercomputer is a national resource and is used, at no cost, by scientists and engineers across the country (including several here at the University of Illinois). In addition, 7 percent of the supercomputer's capacity is specifically reserved for researchers on this campus, and 1 percent is reserved for educational projects. For more information about the performance, capabilities, and impact of Blue Waters on research, go to: http://www.ncsa.illinois.edu/BlueWaters/. 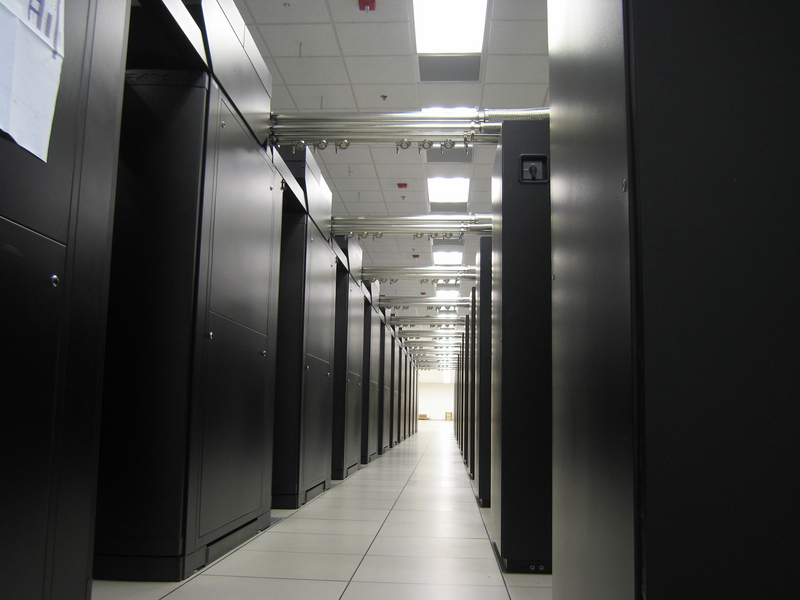 Blue Waters and other high-performance computing, networking, and data systems are housed in the National Petascale Computing Facility (1725 S. Oak St., Champaign). This building, completed in summer 2010, achieved Gold Certification in the U.S. Green Building Council's Leadership in Energy and Environmental Design (LEED) rating system. One way in which the facility achieves energy efficiency is through the use of on-site cooling towers (which are screened from view because they are built in to the north end of the building). These towers can be used more than half of the for passive, evaporative cooling – essentially, Mother Nature cools water for us, and we pump it into the building to keep the computers at the appropriate temperature. Tours of the facility and of the Blue Waters supercomputer are available. To request a tour, go to: http://www.ncsa.illinois.edu/AboutUs/tour.html. Text courtesy of Tricia Barker at the NCSA. 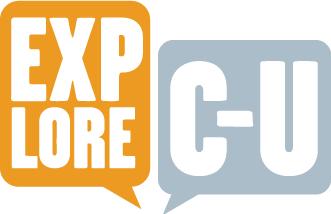 “Blue Waters Supercomputer,” ExploreCU, accessed April 21, 2019, https://explorecu.org/items/show/185.